The alternative title for this post was how to: make brown sugar / party trick like a boss / impress the clerk at the grocery store / Suze Orman your sugar situation. Obviously that was too long. Obviously we’re just making brown sugar, EXCEPT WE’RE NOT. We all have that moment where we go to use brown sugar and we’re out or there’s a slightly open bag that’s birthed a brown sugar brick capable of killing someone and you just can’t bring yourself to put pants on and go to Target to get some more. WE’VE ALL BEEN THERE. Especially the pants part, right? Right. Duh. Besides pants or no pants moment there’s also the disappointment I’ve found with the brown sugar I’ve been buying lately. Random stones that never go away and just blah tastes plus unnecessariness. Why you gotta put caramel color in there? Gurl nobody wants a bag of Tan Mom! 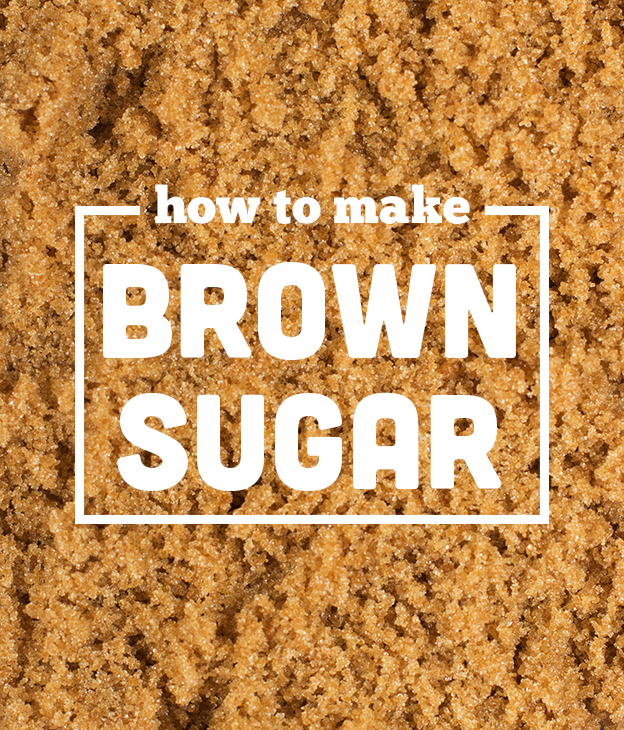 Making your own brown sugar is so insanely easy that I can’t believe it’s taken me this long to make it. All you need is some white granulated sugar, unsulfured molasses, and that thing cats do when they knead your thigh but with your own hands. The result is super light and fluffy brown sugar that will make you either want to motorboat it or use it as an impractical pillow. NOT THAT I DID EITHER ONE OF THOSE THINGS. 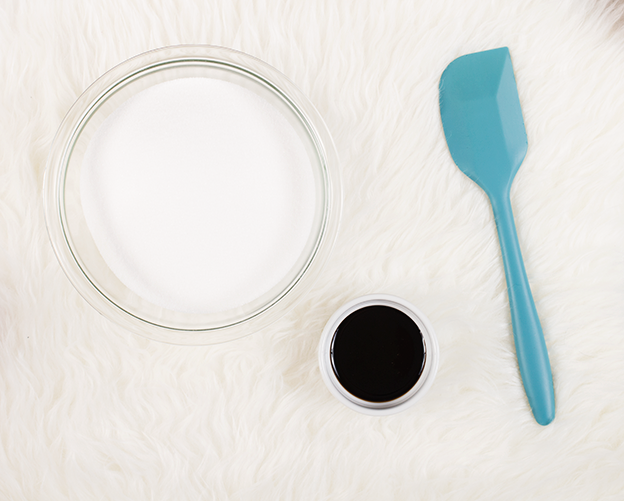 In your largest bowl start to combine your sugar and molasses until slightly combined and no chunks of molasses are stuck to the bowl. Now grab a fork and mix until it’s come together further. Once it’s mostly combined there’ll be a few little chunks of brown sugar. Use your hands to knead all of it until it’s light and fluffy. Use wherever you’d normally use light brown sugar. *the general rule is 1 c of sugar to 1 T molasses so if you only need one cup and you don’t want to spend the same amount of time to make four times as much then knock yourself out with a single cup. I just want to muster up my inner pantsless Harry Potter (wut?!) and make this shizzy. I recently did this (blew my own damn mind) but I used a STRONG flavored molasses. Not the best. GOOD recommendation on the “mild”. Really. Ugh the pants situation is the WORST! Also, my heart grew bigger for you when you spoke of my maj Suze. Hahah I love Suze, too! She scares me every Monday to keep me from going to Kohls. Harry Potter for life. I totes want to go to Hogwarts. But I’ll settle for the wizardry of making brown sugar in my kitchen. Thanks for the tips yo! Never knew making my own brown sugar was an option! oh wow! i feel your pants pain. NO PANTS! I kind of like the brown sugar I have, but this makes me want to kick that hoodrat to the curb and get to craftin’. Thanks for sharing. And for confirming I’m not alone in buying groceries from Target. So much fake tan in my brown sugar, so little flavor. Get out of my pantry you monstrosity. Wow, it really is that easy. And why do we pay a premium to buy brown sugar, again? Looks like I need to get some molasses ASAP. So, I keep reading this as “How to make brown sugar/feel like a LIZARD”…and obvi my brain is broke b/c I keep being like, yeah…totally makes sense. Let’s be a brown sugar making lizard! PS, you’re a total wizlard. Thanks Gurrl! It’s totally fine, I would be the crazy one to try and write a post about lizards and brown sugar. Plus I misread all tweets. All. The. Time. Now all I can think about is my cat kneading this bizniz into brown sugar for me. In other new — I need to MAKE THIS HAPPEN. If only we could get the cats to do this! I totally hate running out of brown sugar! Going to the store for one thing is the worst. Also WTF with the big lumps that will not go away in brown sugar. Definitely pinning this for my next brown sugar shortage! Yes! Even make it to have on hand always and forever! It’s made some of the best baked good because of fresh it is. Ever since Joy posted that…I cannot remember the last time I bought brown sugar. Mostly because I’m lazy but also because who has time for real pants (yes, I subscribe to “levels” of lady clothes). I totally have levels of clothes too, I respect that. A brown sugar brick could definitely kill and you’re pretty much saving lives with this recipe. Saving lives, saving Thanksgiving, saving the world, nbd. SUPER DR. QUINN MEDICINE WOMAN. Just read Sam your post and can’t stop laughing. Smitten kittens over here! Go Wizard go! Thanks GUrrl! PEW PEW ZAP! THANK YOU! This solves all of my lack-of-brown-sugar problems! What if you are going to use this brown sugar to bake something that also has molasses in it, like a gingerbread loaf or whatever? Would you adjust the amount of molasses in the recipe, or no? Hey Clare! If the recipe calls for brown sugar then go ahead and use this! When you mix the molasses with the sugar by itself it makes a different product than just using molasses and white sugar in a baking recipe. It’s seriously made some of the best cookies I’ve had. ok i need to go on a molasses run pronto. How long will this awesome stuff last – like if I was to make a lot of it. Cuz squishing balls of brown sugar into balls and eating them is too much fun. You know you do it! haha I know! I would say at least a couple weeks. First visit on this blog and I’m hooked. Great job, I can’t wait to make some brown sugar on my own, thanks! This sounds very useful but I’m confused. In the post, it says to use 2 cups sugar and 1/3 cup molasses and that it makes 4 cups. Is that right? Then it says the rule is 1 cup sugar to 1 Tbsp molasses. That would mean for 2 cups you should use 2 Tbsp but 1/3 cup is more like 5 Tbsp. So which is the correct ratio? I want to try this because my brown sugar always dries out and they don’t sell smaller bags of it. I’m always trying to turn a brick of brown sugar back into usable form again.